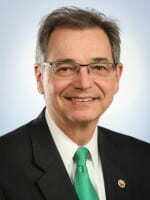 UW-Green Bay Chancellor Gary L. Miller penned the following column for USA TODAY NETWORK-Wisconsin. Transformational change in higher education is coming to Northeast Wisconsin. The UW Campuses in Sheboygan, Manitowoc and Marinette are proposed to soon become, pending approval from the Higher Learning Commission, branch campuses of UW-Green Bay. With this restructuring, Northeast Wisconsin has an extraordinary opportunity for partnership, higher education access and economic development. Achieving this goal will take time and an extraordinary amount of creativity and teamwork. Currently, we have dozens of individuals from all four campuses working toward a smooth transition on July 1, 2018. My leadership team and I have been meeting with local business and community leaders, county boards and educators in the regions. With the proposed addition of the three new campuses, our natural geographic region grows to 16 counties. The region includes a large and vibrant manufacturing sector, a significant healthcare sector and a rich tapestry of business and non-profit enterprises. All four campuses support vibrant art and music programs and serve as a hubs of community activity. The physical facilities of the three new campuses are supported by citizens through county government. The region includes a striking rural-urban transition that presents nearly every contemporary post-secondary educational need and opportunity. The “start here finish anywhere” philosophies of the UW Colleges coupled with the lower tuition offer an opportunity for a world class University of Wisconsin education at an extremely affordable price. We are incredibly fortunate to have some key partners in this important initiative. The Sheboygan, Manitowoc and Marinette County governments have demonstrated a deep commitment to higher education in their regions and we hope to nurture and extend those partnerships. Perhaps the most important assets we bring to this undertaking is the broad and integrative partnership we have developed with Northeast Wisconsin Technical College (NWTC). And, the most important potential asset is the relationship now emerging with Lakeshore Technical College. 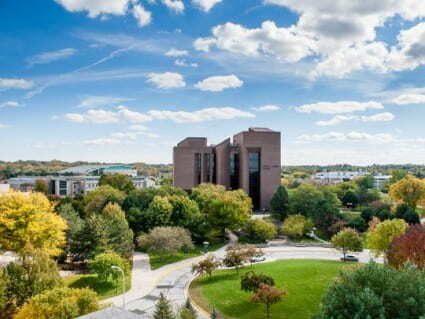 The University of Wisconsin-Green Bay is a University on the rise. This past February, we established the Richard J. Resch School of Engineering, the first School of Engineering in Northeast Wisconsin. We are one of the few universities in Wisconsin to grow enrollment, and we are part of the best internationally branded city in the state because of our educational partners, the Green Bay Packers. We will take this spirit of innovation to our new communities. Beginning in the coming fall, we will undertake a region-wide assessment of higher education needs, economic drivers and partnership opportunities on the way to the development of a strategic framework for the new UW-Green Bay. Later this summer, we will initiate a process to engage all communities in helping determine the future of the new UW-Green Bay. We may be calling on you or your business to be involved in this process. I hope you will embrace the opportunity and join with us to transform higher education in our region. Our success is your success. So is our future. Go Phoenix!